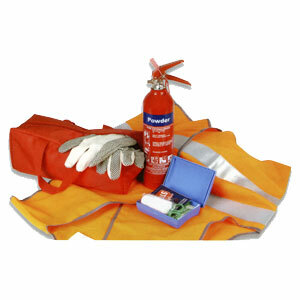 The car safety kit is essential for any vehicle owner. It comes complete with everything you will need including a 1kg ABC Powder Fire Extinguisher. The fire extinguisher is BS EN3 approved, BAFE approved, CE Marked, BSi Kitemarked and has a fire rating of 8A 34B.